When and if disaster strikes, is your business going to continue to operate and cater to customers despite a possible long-term hardware failure or a network disruption? If you answer no or are not even sure what to do, you are part of a majority of business owners who have not considered disaster preparedness and the crucial role it plays in business survival. This post helps small or mid-sized businesses (SMBs) gain some understanding about Disaster Recovery (DR) and how important DR planning is today to protect against unexpected and costly downtime. As we all know, unpredictability is a fact of life. The aftermath of Tropical Storm Bill in Texas and recent floods in South Carolina are a grim and unfortunate lesson for many overconfident business owners who think their companies are spared from the likelihood of cataclysmic weather, technological malfunctions, or human actions. A 2014 survey by the IT Disaster Recovery Preparedness (DRP) Council reveals just how many companies worldwide are at risk: 73 percent of SMBs are failing in terms of disaster readiness. What does this mean? It means that 3 out of 4 companies aren’t prepared to handle emergencies and save their businesses from a worse-case scenario. If it’s not clear and compelling enough for a business owner like yourself to consider putting a well-conceived Disaster Recovery (DR) plan into place, perhaps it’s time to give it some thought. Doing so can save you years of business loss. Here is some useful information about what DR is all about and how it can ensure your business’s survival in the wake of unforeseen circumstances. 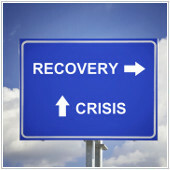 What is Disaster Recovery (DR)? Disaster recovery is a plan for restoring and accessing your data in the event of a disaster that destroys part or all of a business’s resources. It is a key component involving many aspects of business operations that requires this information to function. The job of a DR plan is to ensure that whatever happens, your vital data can be recovered and mission-critical applications will be brought back online in the shortest possible time. What kind of disasters are likely to happen? Business disasters can either be natural, technological, or man-made. Natural types of disasters include floods, earthquakes, tornadoes, hurricanes, landslides, tsunamis, and even a pest infestation. On the other hand, technological and man-made disasters involve hazardous material spills, infrastructural or power failure, nuclear power plant meltdown or blast, chemical threat and biological weapons, cyber attacks, explosions, or acts of terrorism and civil unrest. Why does your business need DR? Regardless of industry or size, when an unforeseen event takes place and causes day-to-day operations to come to a halt, a company will need to recover as quickly as possible to ensure you will continue providing services to clients and customers. Downtime is one of the biggest IT expenses that any business can face. Based on 2015 disaster recovery statistics, downtime that lasts for one hour can cost small companies as much as $8,000, mid-size organizations $74,000, and $700,000 for large enterprises. For SMBs particularly, any extended loss of productivity can lead to reduced cash flow through late invoicing, lost orders, increased labor costs as staff work extra hours to recover from the downtime, missed delivery dates, and so on. If major business disruptions are not anticipated and addressed today, it’s very possible that these negative consequences resulting from an unexpected disaster can have long-term implications that affect a company for years. By having a Disaster Recovery plan in place, a company can save itself from multiple risks including out of budget expenses, reputation loss, data loss, and the negative impact on clients and customers. How do I create a DR strategy for my business? Creating, implementing and maintaining a total business recovery plan is time-consuming but extremely important to ensure your business’s survival. Many organizations don’t have the time or resources to dedicate to this process. If you would like to protect your company from unexpected disasters but need further guidance and information on how to get started, give us a call and our experts will be happy to discuss Disaster Recovery options and solutions with you.